Jim, a custom builder in Denver, needed a rosette (aka an escutcheon) to match new brass door knobs, he was installing on 36 interior custom doors. 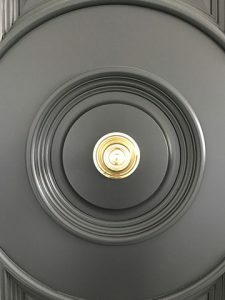 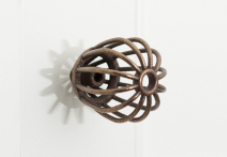 He contacted Knockout Knobs to request a rosette which would complement the door design and match the polished brass finish on his door knob. 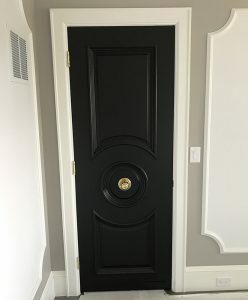 AND he needed the escutcheon to be 4″ in diameter. 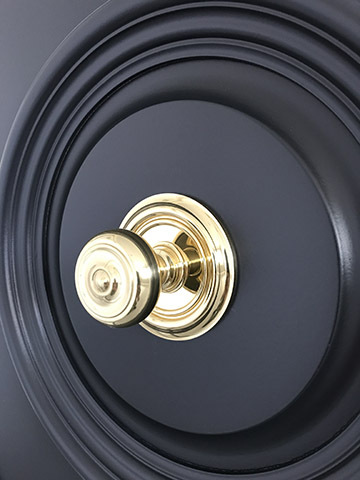 The Knockout Knobs team of Nancy, Mo, Jeremy and Dan met the challenges of designing a new escutcheon, incorporating the door design and the door knob design. 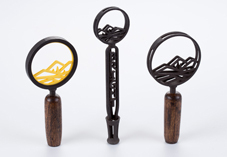 We sent Jim a few 3D plastic samples so he could test them on the door. Once we knew the plastic sample had the perfect design, we needed to ensure the escutcheon would attach securely to each door and hold the door knob in place with no visible screws. 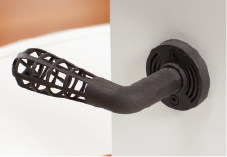 We designed a mechanism which fit perfectly with the existing door hardware. 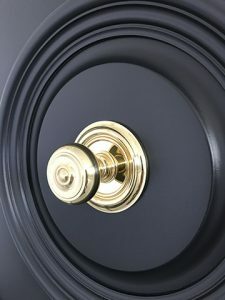 It was important to Knockout Knobs that Jim’s escutcheons complement his custom doors and the decor of his home.